Table 1. Incidence rates of surgical site infection after craniotomy, with or without implants, according to duration of surveillance. Hospital São Paulo, January 1 through June 30, 2014. Objective: To determine the incidence of surgical site infection in patients undergoing craniotomy and to compare 12-month and 3-month post-discharge surveillance periods in terms of their impact on the incidence of surgical site infection in those patients. Methods: This was a retrospective cohort study involving 173 adult patients submitted to “clean” craniotomy, with or without implants, during the six-month period, at a university hospital in the city of São Paulo, Brazil. All the patients were evaluated in the pre-, trans- and postoperative periods and were followed for 12 months to analyze the development of surgical site infections. Results: Of the 173 patients undergoing craniotomy during the study period, 20 developed an surgical site infection during the first, and 12 months after discharge, the overall incidence of surgical site infection therefore being 11.56%, compared with a 1-month incidence of 8.67% and a 3-month incidence of 10.98%. Among the 106 patients who received implants, the 1-, 3-, and 12-month incidence of surgical site infection was 7.54% (n = 8), 8.49% (n = 9), and 9.43% (n = 10), respectively. Among the 67 patients who did not receive implants, the 1-, 3-, and 12-month incidence of surgical site infection was 10.44% (n = 7), 14.92% (n = 10), and 14.92% (n = 10), respectively. Conclusion: The incidence of surgical site infection after craniotomy is high. Reducing the duration of the post-discharge surveillance period from 12 months to 3 months did not cause significant losses in the numbers of surgical site infection identified or a substantial decrease in their incidence. In this study, we compared the incidence of SSI at three and 12 months after craniotomy with and without implants, with the objective of analyzing the impact reduction in duration of surveillance would have on incidence. The new guidelines recommend a 3-month period of surveillance for deep incisional and organ–space SSIs after craniotomy. However, craniotomy patients evaluated in the present study, screening for such infection, were followed for 12 months. Therefore, the proportion of SSIs that would have been missed had the patients not been followed for the additional nine months could be determined. This was a retrospective cohort study, conducted at the Hospital São Paulo, a university hospital operated by the Federal University of São Paulo, in the city of São Paulo, Brazil. We included consecutive patients who underwent craniotomy between January 1 and June 30, 2014, excluding only those who did not meet the study criteria. During the study period, 413 neurosurgical procedures were performed at Hospital São Paulo. Of those, 341 were craniotomies. Patients under 18 years of age were excluded, as were those who underwent craniotomy in the presence of existing infection, those who presented with signs of SSI, those who underwent surgery that was potentially contaminated, contaminated, or infected, and those for whom there were missing data in the patient charts. The final cohort comprised 173 patients. Surveillance for SSI for patients included in the study was maintained for a period of 12 months (365 days) after the surgical procedure, in order to assess the incidence of SSI. The patients’ charts were analyzed prospectively. We also collected data regarding subsequent hospitalizations and outpatient follow-up visits at the same hospital, in order to detect evidence of SSI. SSI was diagnosed based on criteria for health care-associated infections defined at the current Centers for Disease Control and Prevention/National Healthcare Safety Network surveillance guidelines.8 According to these guidelines, the recommended post-discharge surveillance period for deep incisional and organ–space SSIs after craniotomy is three months. The craniotomy patients were divided into two groups according to the occurrence of SSI diagnosed in the different periods of surveillance. We also evaluated those who had received implants separately from those who had not. For all patients, we compared the currently recommended post-discharge SSI surveillance period (three months) with two other periods: one month and 12 months. We defined implants as orthotics or prostheses, whether total or partial and whether implanted permanently or transiently, including derivations with internal or external terminal portions (ventriculoperitoneal shunt or external ventricular drain, respectively), electrodes, vascular clamping devices, cranial reconstructive material, and osteosynthesis material. For all 173 patient charts, we used a standardized instrument designed to verify the data related to the preoperative, intraoperative, and postoperative processes. Information regarding outpatient follow-up and subsequent hospitalizations was obtained from the electronic health record system of the institution. Variables of interest were initially compared between patients with and without SSI using the chi-square test (or Fisher’s exact test) for categorical variables and the t-test for quantitative variables. Variables associated with SSI with a level of significance of up to 10% (p ≤ 0.10) were included in the initial logistic regression model. Through the backward selection process, the least significant variables were removed from the model, until a final model with only those significantly associated with SSI (p < 0.05) was obtained. The data were tabulated in an Excel spreadsheet and analyzed with Minitab statistical software, version 16.1 (Minitab Inc., State College, PA, USA). Values of p < 0.05 were considered statistically significant. Of the 173 patients undergoing craniotomy during the study period, 20 developed an SSI during the first 12 months after discharge with an overall incidence of SSI of 11.56%. Of the 20 SSIs identified, 13 (65%) were organ-space infections, 4 (20%) were superficial incisional infections, and 3 (15%) were deep incisional infections. The microorganism most often found at the surgical site was Staphylococcus aureus, which was isolated in three cases (15%). The mean time from craniotomy to the diagnosis of SSI was 34 ± 48.9 days. The mean age of the 173 patients was 51.9 ± 17.2 years (range, 18–87 years), and 88 (50.9%) were male. The mean age of the patients with and without SSI was 45.2 years and 52.9 years, respectively, and the difference was statistically significant (p = 0.043). No significant statistical difference was observed between the groups with and without infection, in relation to the comorbidities evaluated. Our study showed that 95 (55%) patients in the sample presented a Charlson score ranging from 1 to 2. However, the group of patients with SSI had a higher score when compared to the non-infected group, 13 (65%) versus 82 (54%), respectively. The antimicrobial prophylaxis, as well as the compliance with the administration schedule (up to one hour prior to the incision) and duration of prophylaxis, were not significant when comparing patients with and without SSI (p = 0.311, p = 0.599, p = 0.621, respectively). Comparing the patients with and without SSI, we found no significant gender-based difference (p = 0.069). The use of implants was not significantly different between the craniotomy patients with and without SSI (p = 0.271). In the multivariate analysis, the following variables were identified as independent risk factors for SSI: surgical time greater than four hours (OR, 1.49; 95% CI, 0.96–2.30; p = 0.076), drainage time (OR, 4.67; 95% CI, 1.34–16.00; p = 0.015), and having undergone at least one reoperation (OR, 4.38; 95% CI, 1.14–16.74; p = 0.03). The incidence of SSI was compared among the three periods of post-discharge surveillance. Out of the 173 patients of the whole cohort, SSIs occurred during the 1-, 3-, and 12-month surveillance periods in 15, 19, and 20 patients, respectively, with incidence rates being 8.67%, 10.98%, and 11.56%. Among the 106 patients who underwent craniotomy with an implant, SSIs occurred during the 1-, 3-, and 12-month surveillance periods in 8, 9, and 10 patients, respectively, corresponding to incidence rates of 7.54%, 8.49%, and 9.43%. Therefore, reducing the post-discharge surveillance period from 12 months to three months would have missed one (10%) SSI in the group of patients who received an implant, reducing the 12-month incidence of SSI by 0.94% in that group and by 0.58% in the whole cohort. For the group of patients who underwent craniotomy with no implant and subsequently developed an SSI, reducing the post-discharge surveillance period from 12 months to three months would not have resulted in any SSI going undetected. However, if the duration of post-discharge surveillance for SSIs were further reduced from three months to the previously recommended one month, three (30%) of the 10 SSIs identified in the no implant group would have gone undetected. Including those cases increased the 3-month SSI incidence by 4.48% in that group (Table 1). In the group of patients who received implants, surveillance had greater sensitivity for the detection of an SSI when maintained for 12 months rather than three months or one month (100% vs. 90% and 80%, respectively), although the positive predictive value was the same (100%) for all three surveillance periods. Incidence rates of surgical site infection after craniotomy, with or without implants, according to duration of surveillance. Hospital São Paulo, January 1 through June 30, 2014. SSI, surgical site infection; d, days. The incidence of post-craniotomy SSI varies substantially across studies, which might reflect differences among patient populations, types of procedures, and types of infections evaluated.11 According to the National Healthcare Safety Network report issued by the Centers for Disease Control and Prevention,12 the incidence of post-craniotomy SSI in the United States ranged from 2.15% to 4.66% in the 2006–2008 period. In the present study, the mean time from the surgical procedure to the diagnosis of an SSI was 34 days, 19 (95%) out of 20 SSIs having been diagnosed within the first three months after discharge. In two separate studies, Miyake et al.15 and Bellusse et al.16 reported mean times from surgery to diagnosis of an SSI of 23.3 days and 12.8 days, respectively, both lower than that identified in our study. Bellusse et al.16 reported a mean patient age similar to the 51.9 years in our cohort. In that study, conducted in 2013, there was also a slight predominance of males, who accounted for 57.6% of the sample, comparable to the 50.9% in our study cohort. For antimicrobial prophylaxis, the most commonly used antimicrobial agent was cefazolin (95; 54.91%), followed by cefuroxime (34; 19.65%), vancomycin and ceftriaxone (19; 10.98%), and ceftriaxone (4; 2.31%). For the group of patients who developed SSI, cefazolin (10; 50%) was the most used, followed by cefuroxime (4; 20%) and vancomycin and ceftriaxone (4; 20%). No patient in the infection group used ceftriaxone (0%). In this study, the decision to perform surveillance of SSIs for one year was motivated by the current definition of CDC surveillance issued in 2014, which limited the duration of the surveillance period for craniotomies with implants at 90 days. Our intention was to compare the number of SSIs detected according the old criterion (360 days) with the new criterion (90 days) and thus quantify and analyze the missed SSIs. In our cohort of patients, a post-discharge surveillance period of three months was sufficient to detect the majority (95%) of post-craniotomy SSIs, the remaining 5% being detected between 91 and 365 days after discharge. In addition, 75% of the SSIs diagnosed in our cohort were detected within the first month after discharge. Therefore, reducing the post-discharge surveillance period from 12 to three months did not result in a significant reduction in the incidence of SSI. However, prolonged surveillance may detect more cases of SSI. S.S. Magill, W. Hellinger, J. Cohen, et al. Prevalence of healthcare-associated infections in acute care hospitals in Jacksonville, Florida. Adherence to surgical care improvement project measures and post-operative surgical site infections. The direct medical costs of healthcare-associated infections in U.S. Hospitals and the benefits of prevention [Internet]. Critérios diagnósticos de infecção relacionadas à assistência à saúde. V.D. Rosenthal, R. Richtmann, S. Singh, et al. Surgical site infections, International Nosocomial Infection Control Consortium (INICC) report, data summary of 30 countries, 2005–2010. E.G. Figueiredo, G.T. Balasso, M.J. Teixeira. [Infections in post craniotomies: literary review]. S. Abu Hamdeh, B. Lytsy, E. Ronne-Engstrom. Surgical site infections in standard neurosurgery procedures – a study of incidence, impact and potential risk factors. Centers for Disease Control and Prevention, National Healthcare Safety Network (NHSN) Overview. D.J. Anderson, K. Podgorny, S.I. Berrios-Torres, et al. S. McClelland 3rd, W.A. Hall. Postoperative central nervous system infection: incidence and associated factors in 2111 neurosurgical procedures. H.Y. Chiang, V.M. Steelman, J.M. Pottinger, et al. Clinical significance of positive cranial bone flap cultures and associated risk of surgical site infection after craniotomies or craniectomies. J.R. Edwards, K.D. Peterson, Y. Mu, et al. National Healthcare Safety Network (NHSN) report: data summary for 2006 through 2008, issued December 2009. Risk factors for neurosurgical site infections after craniotomy: a prospective multicenter study of 2944 patients. The French Study Group of Neurosurgical Infections, the SEHP, and the C-CLIN Paris-Nord. Service Epidemiologie Hygiene et Prevention. Avaliação dos indicadores de processo em pacientes submetidos à craniotomia e incidência de infecção no sítio cirúrgico [dissertação]. Incidência de infecção do sítio cirúrgico em neurocirurgia [dissertação]. 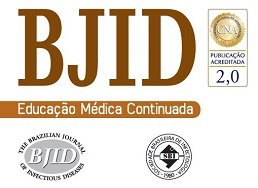 A.C. de Oliveira, N.J. de Braz, M.M. Ribeiro. [Surgical site infection incidence in a university hospital]. M.B. Koek, J.C. Wille, M.R. Isken, A. Voss, B.H. van Benthem. Post-discharge surveillance (PDS) for surgical site infections: a good method is more important than a long duration.